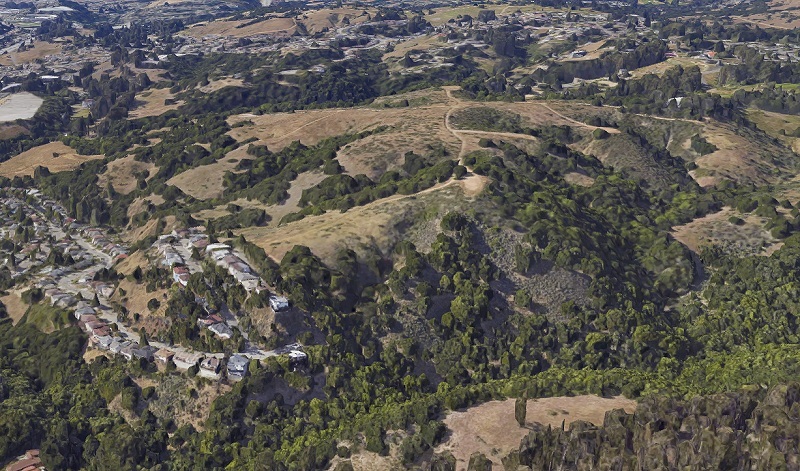 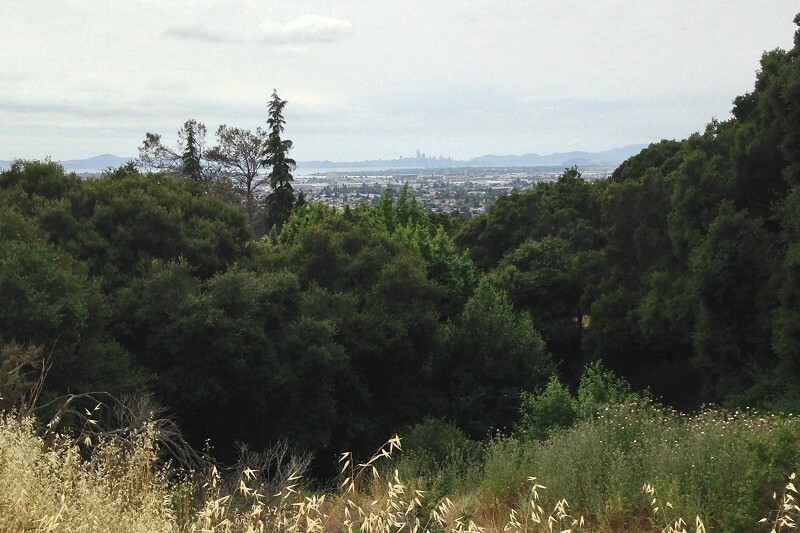 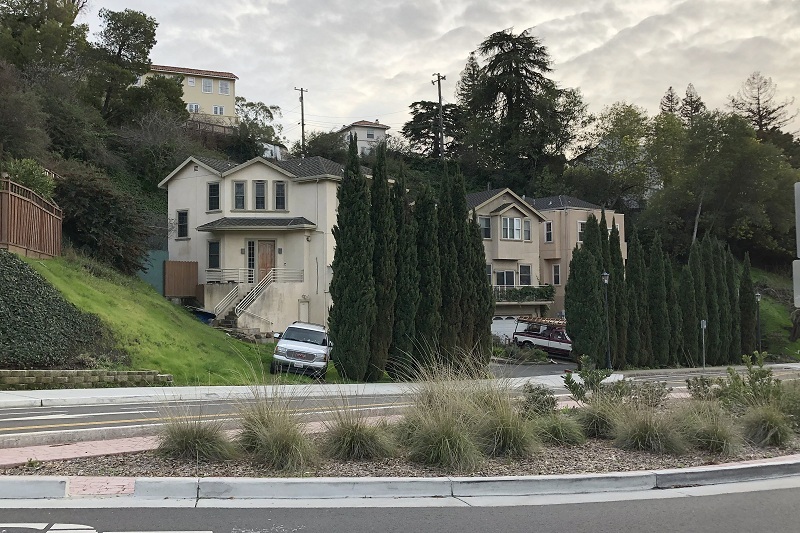 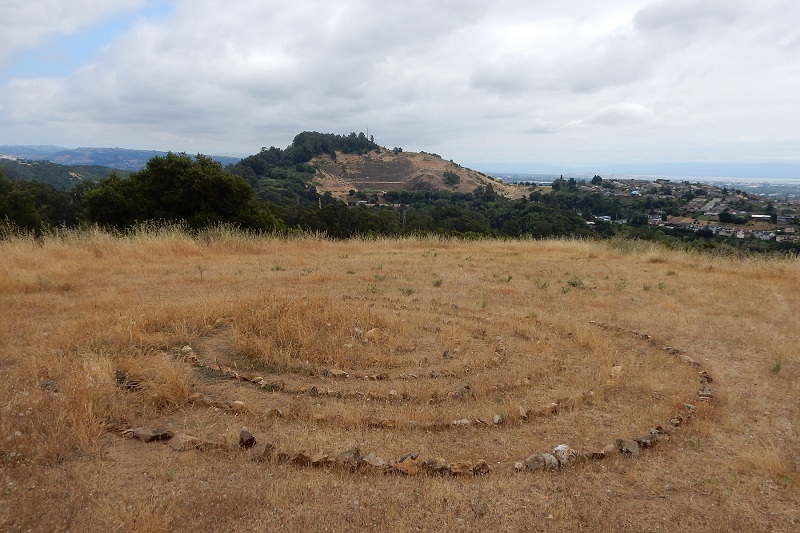 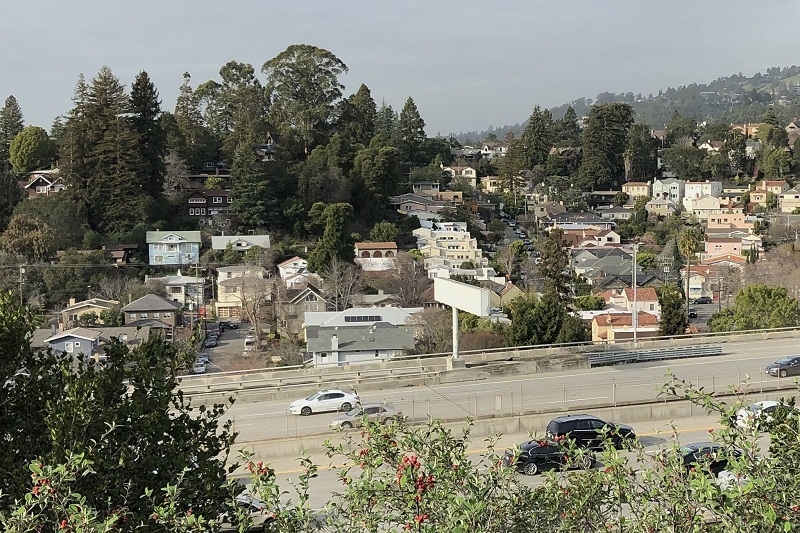 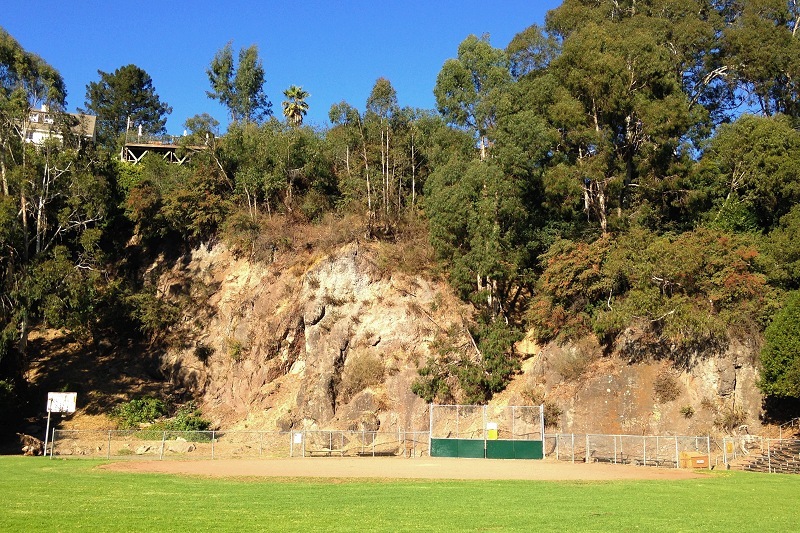 Glendale-La Loma Park, a little ballfield/playground complex in the north Berkeley hills on La Loma Road, is a repurposed quarry that’s had a true Berkeley history. 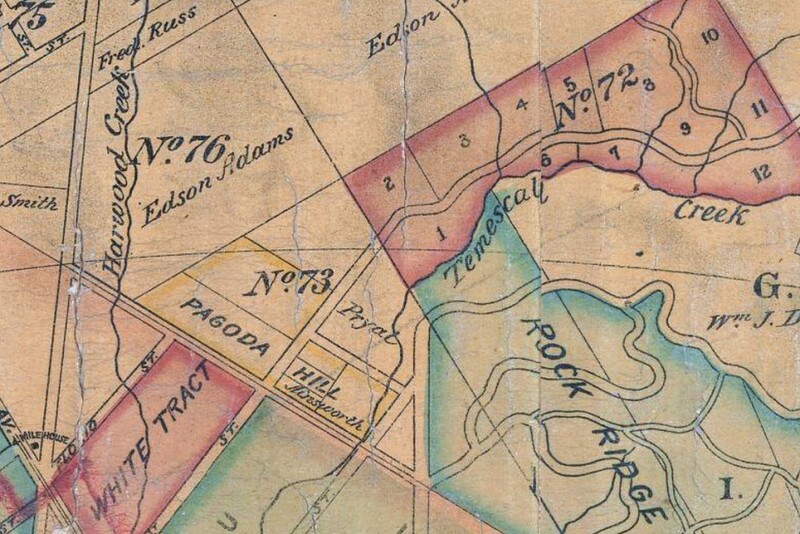 The original quarry, operated by J. J. Dunn, appears to date from 1892. 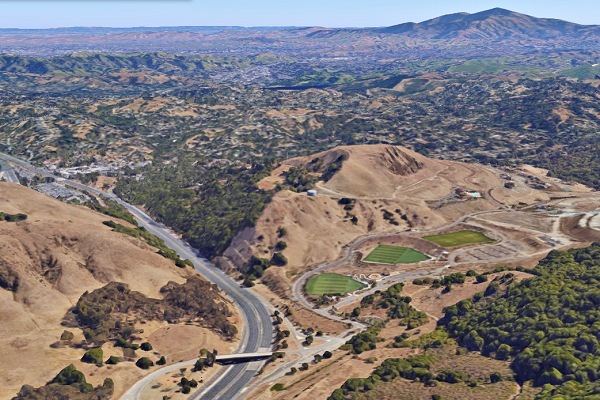 John J. Dunn, a Canadian immigrant born in 1839, was a major contractor in California building roads and sewers starting in the 1870s. 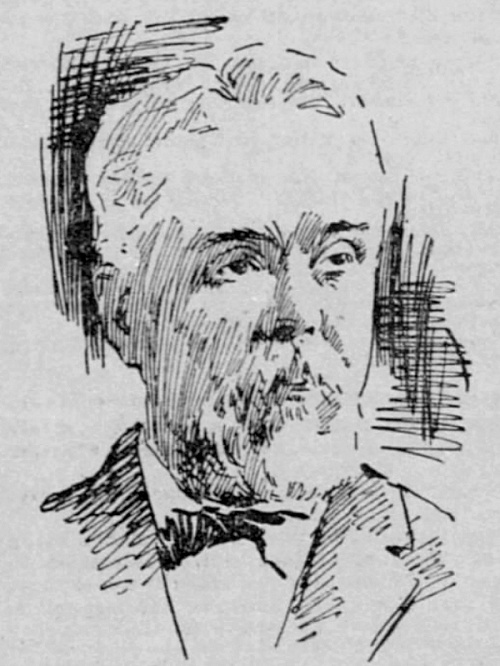 This is Dunn portrayed in 1896 in the Oakland Tribune. 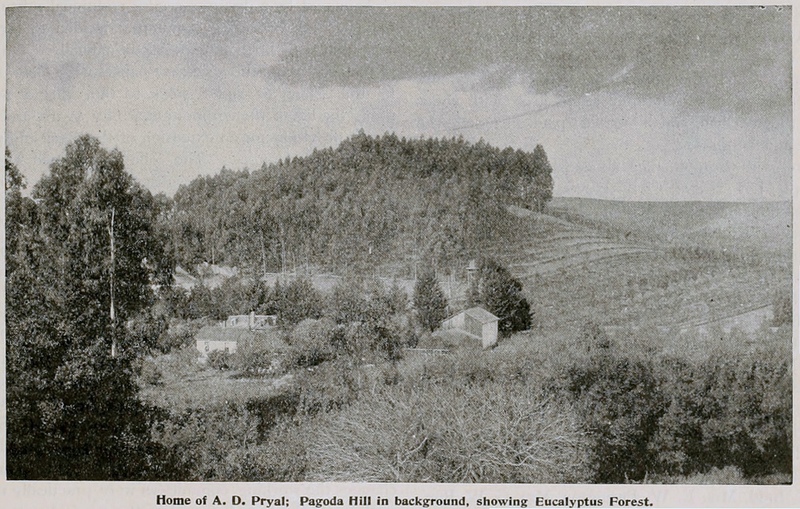 In 1900 Dunn advertised the quarry for sale “on account of sickness,” and died of Bright’s disease (kidney failure) in St. Helena that June. 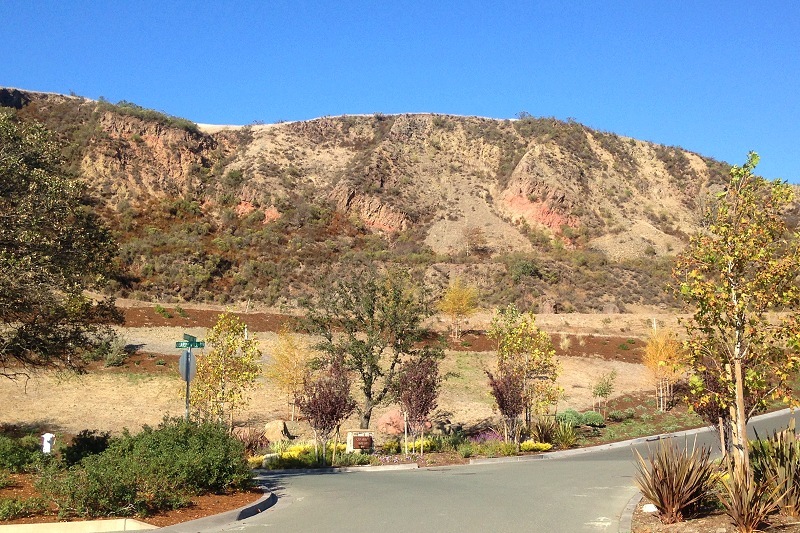 In 1904 the Dunn quarry was reopened by Louis Titus, former head of People’s Water Company, as part of the Spring Construction Company. 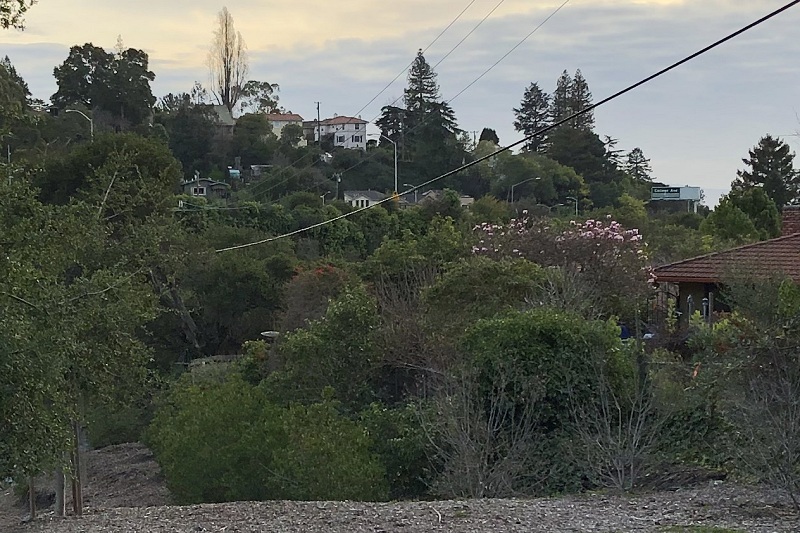 Its dawn-to-dusk blasting operations infuriated local residents, who obliged it to shut down in 1909 by threatening the business-friendly city council with a recall campaign. 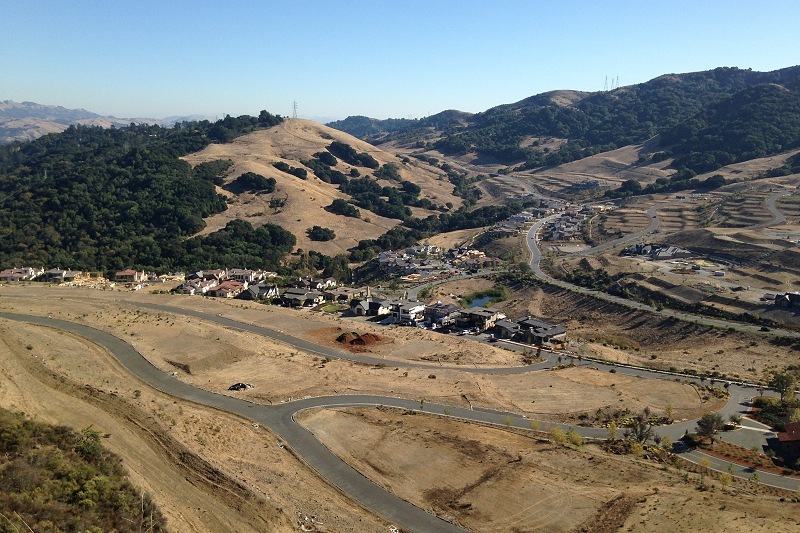 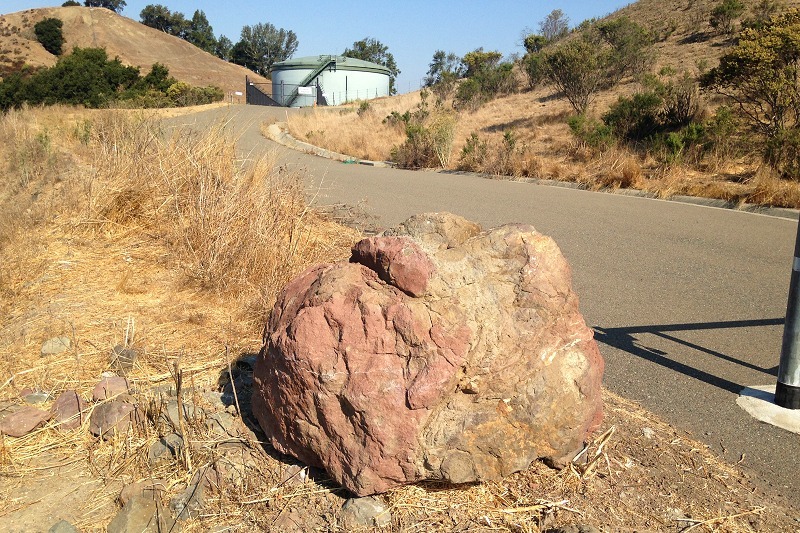 The company made the gaslighting claim that they were not operating a quarry, even though the rock from the pit was being used for streets and homes in the Thousand Oaks tract, but were in fact building a reservoir for the People’s Water Company. 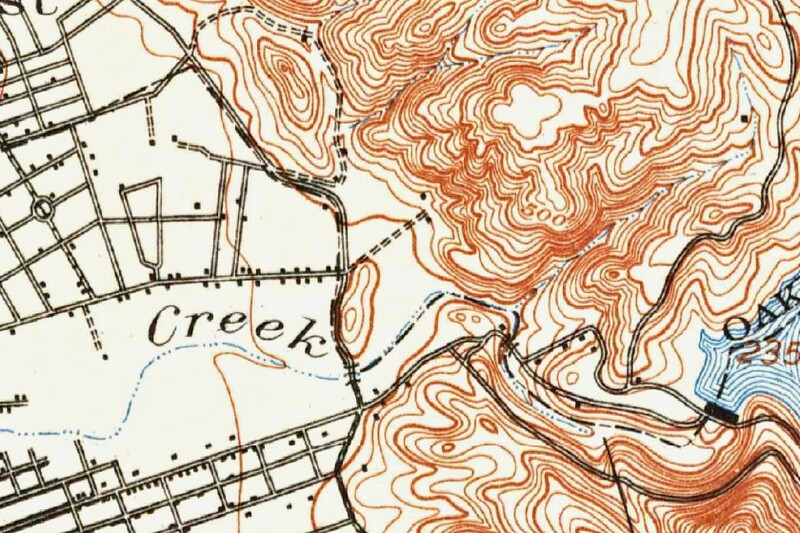 After its abandonment the Spring quarry became an attractive nuisance, drawing generations of youngsters to its steep sides and deep swimming hole. 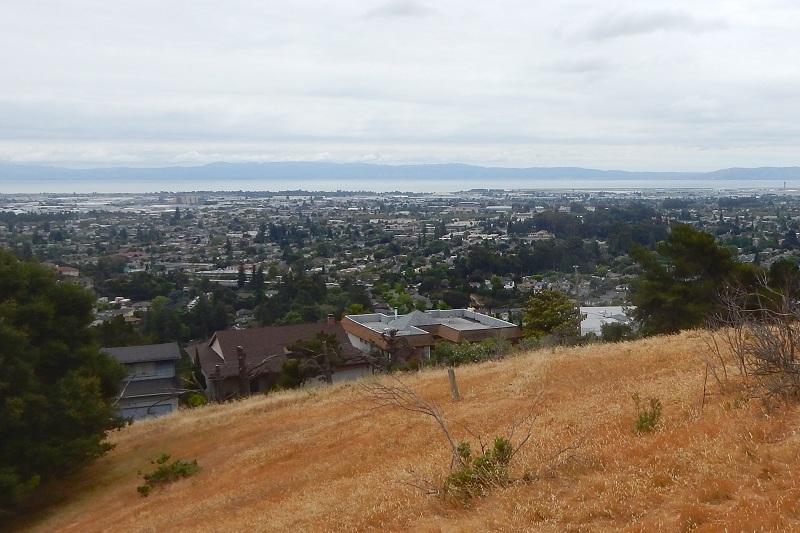 Even those who didn’t swim in the cold, murky groundwater must have enjoyed the view. 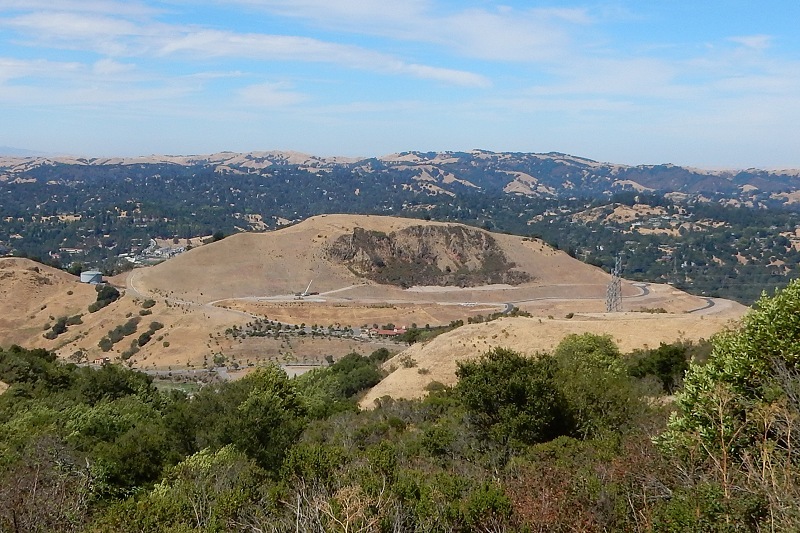 In 1950 an 11-year-old boy drowned, and the city fenced off the quarry. 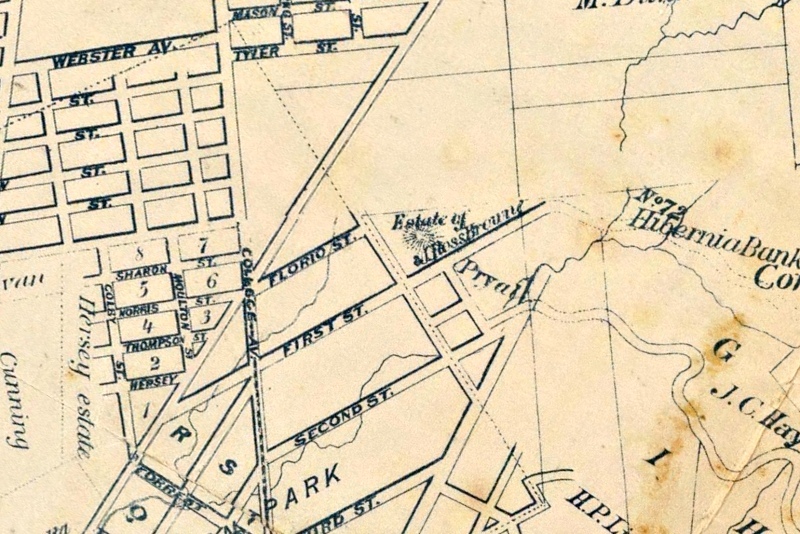 The city acquired more property around the site in 1957, and eventually it became what you see today. 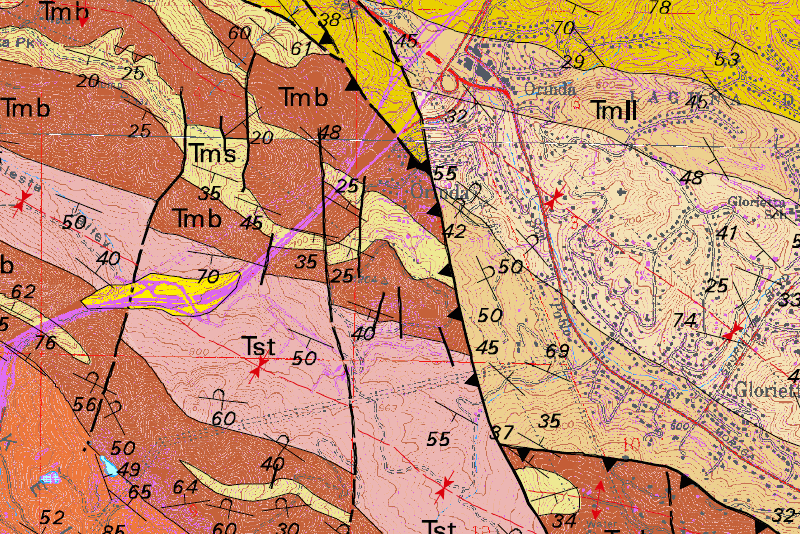 Unfortunately I have found no details of the site’s geology, although Titus called it a basalt quarry. 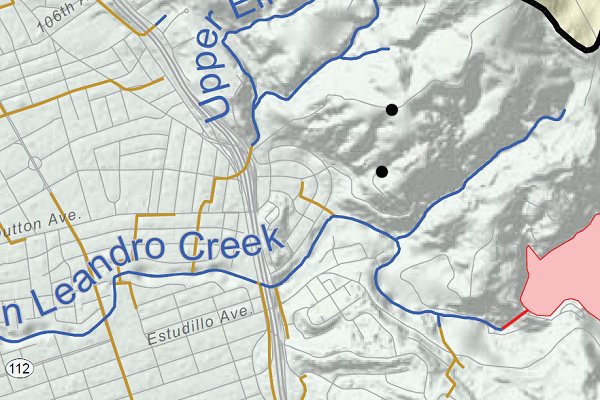 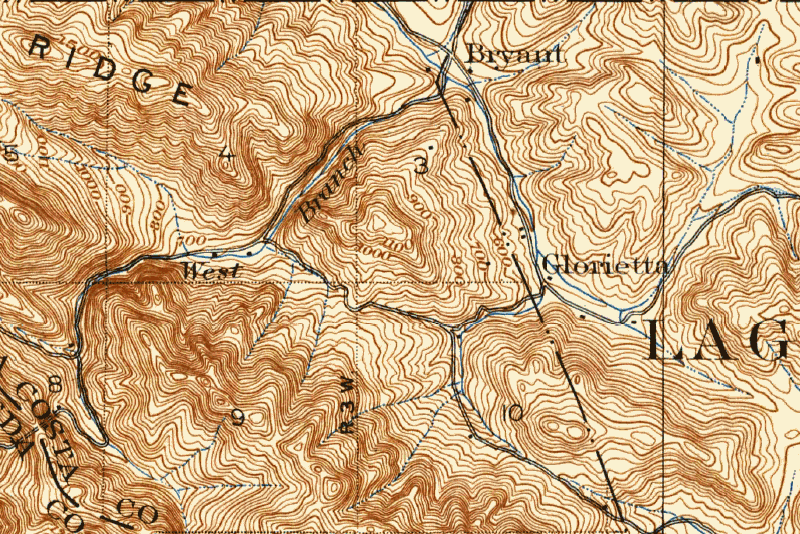 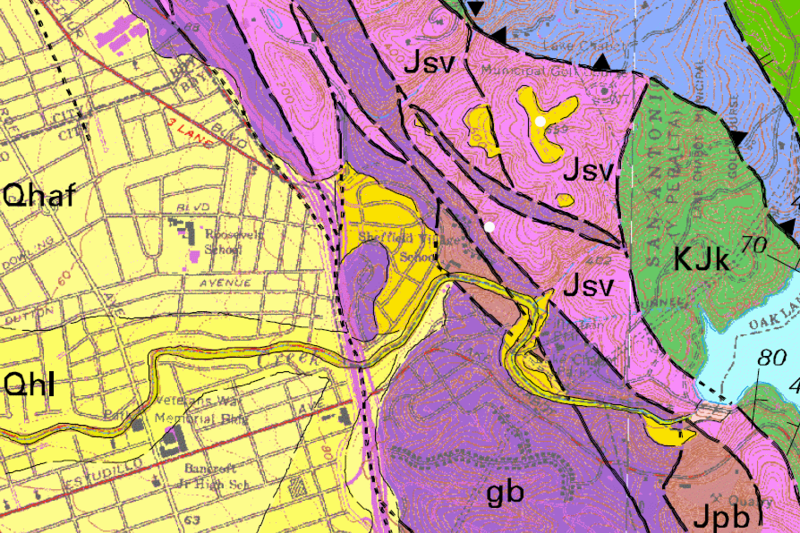 The geologic map shows the downhill side as basalt of the Moraga Formation and the uphill side as the conglomeratic Orinda Formation. 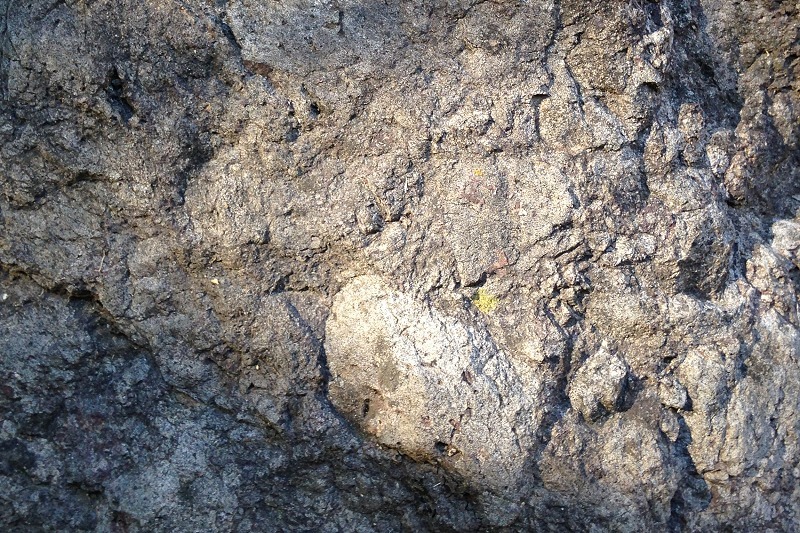 This is the basalt. 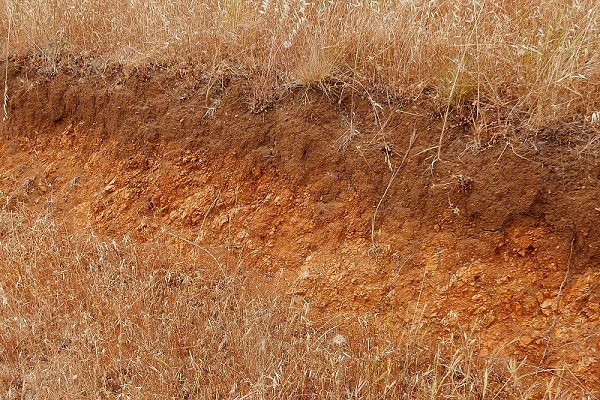 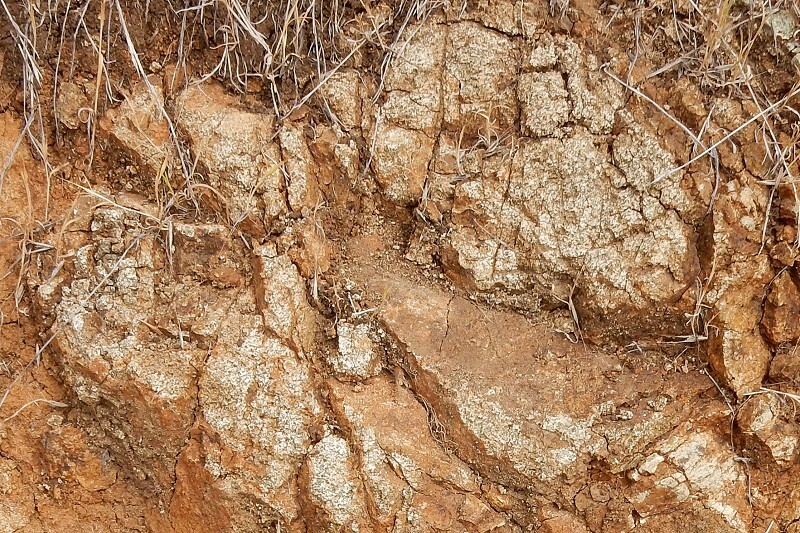 The brownish streaks are slickensides — friction marks from faulted fractures. 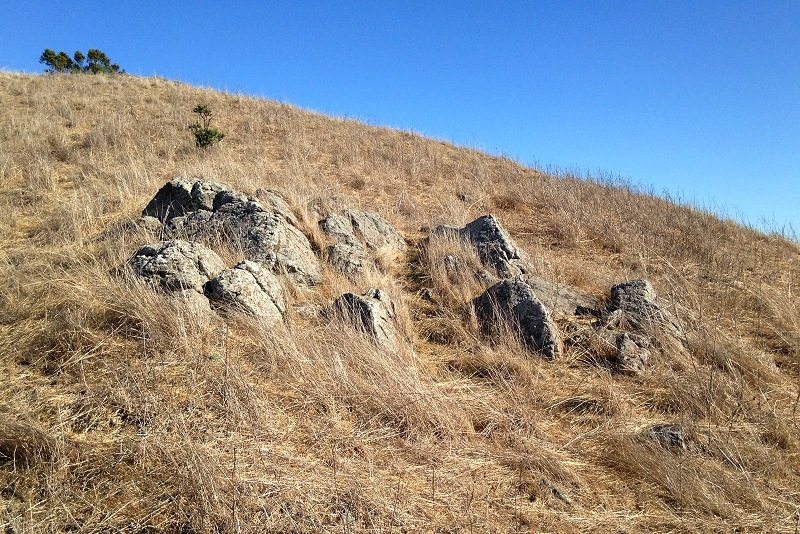 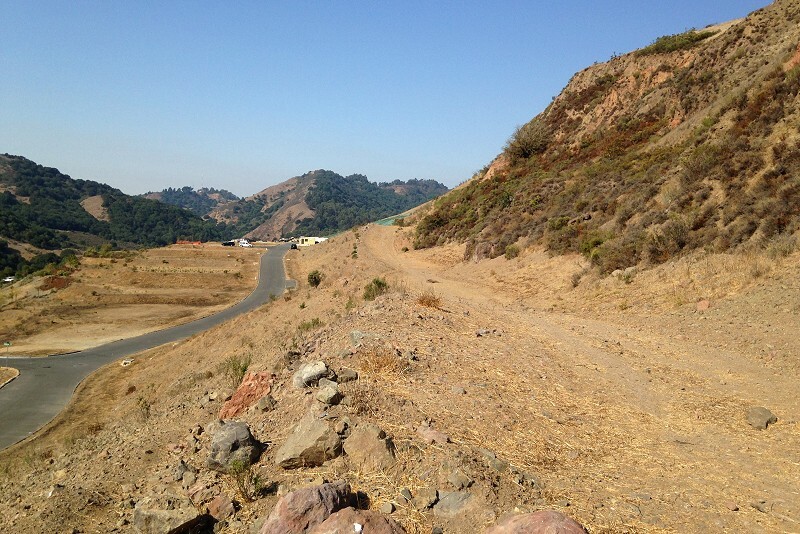 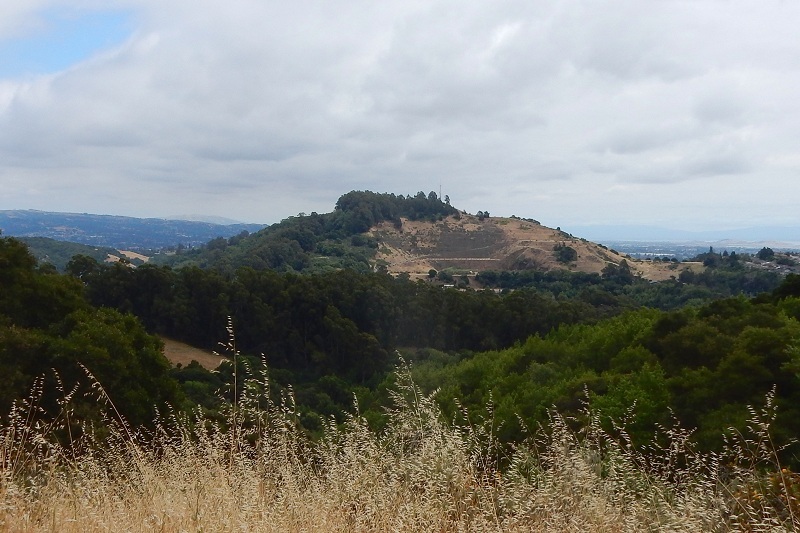 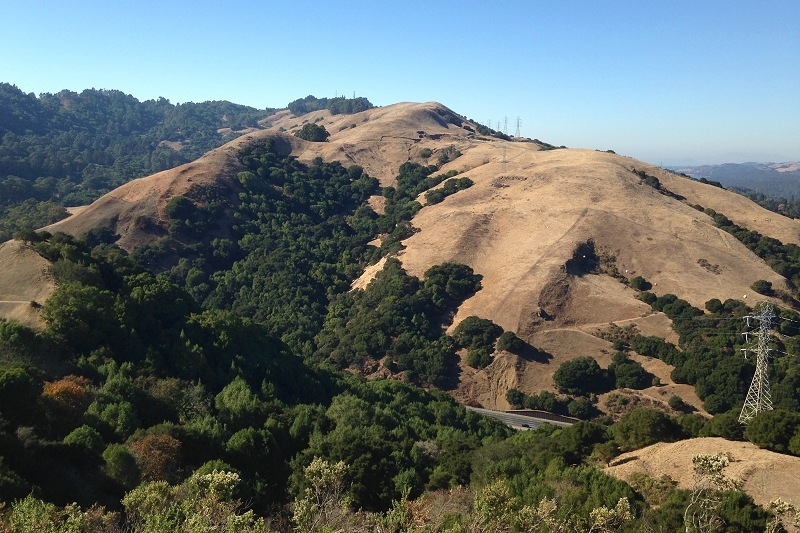 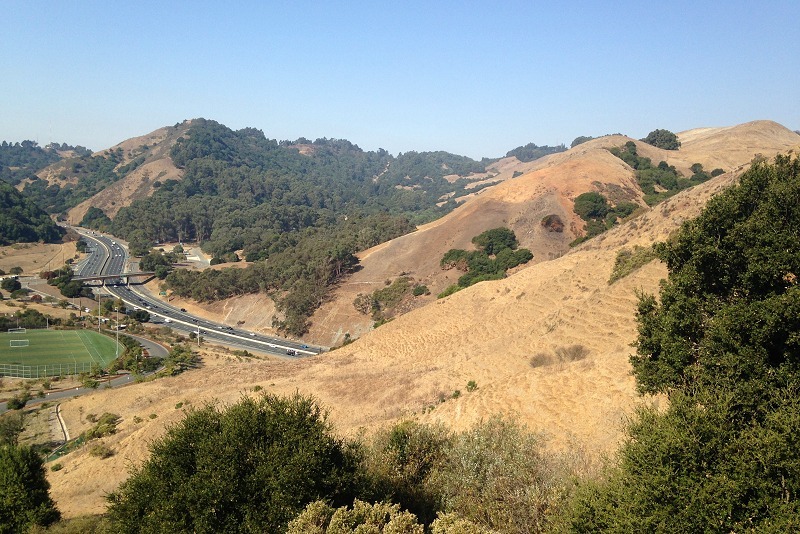 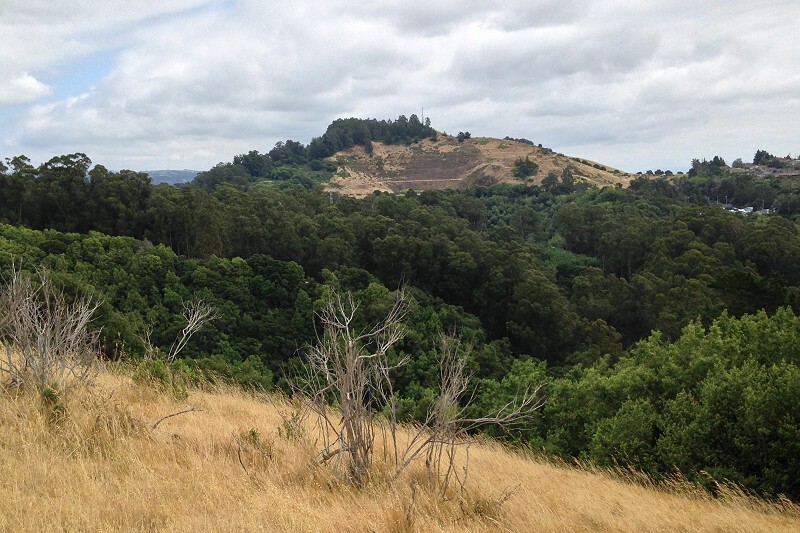 Other volcanic rocks here include rhyolitic tuff, a minor component of the Moraga Formation. 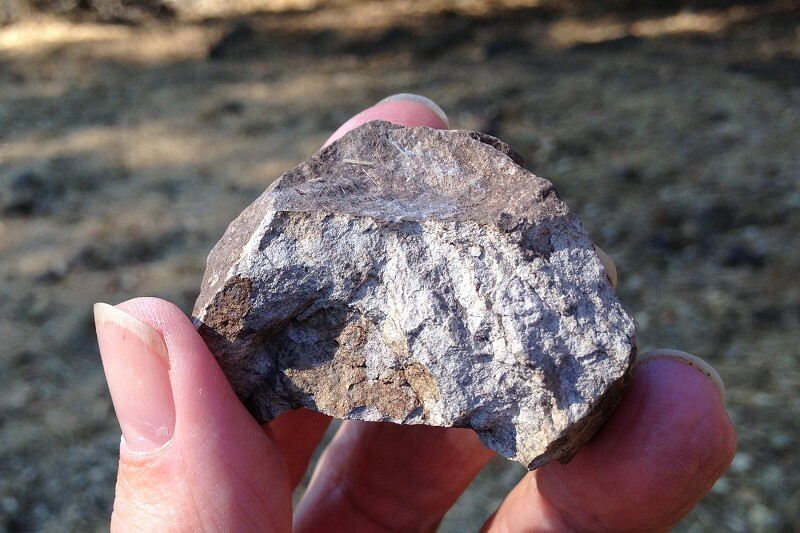 It’s distinguished by its light color and broken (brecciated) texture. 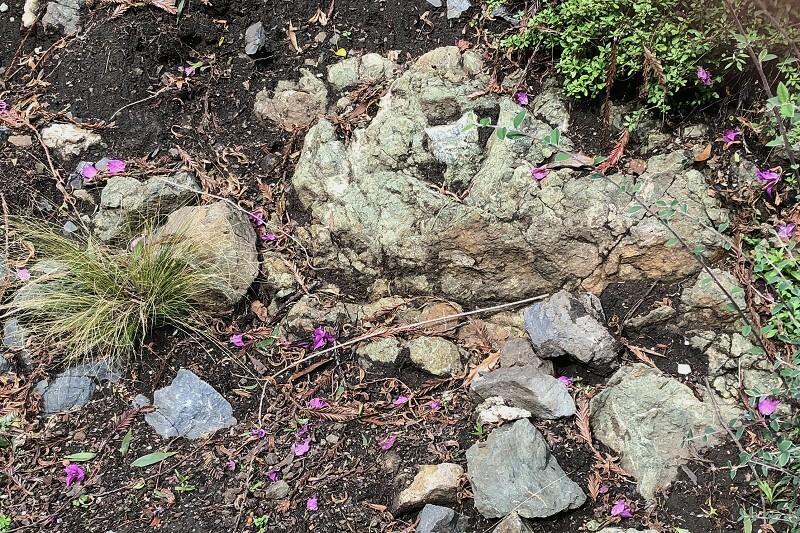 Superficially, it resembles the Northbrae Rhyolite that makes up Grotto Rock Park and its sister parks, but unlike that heroically strong stuff it degrades quickly when exposed at the surface. 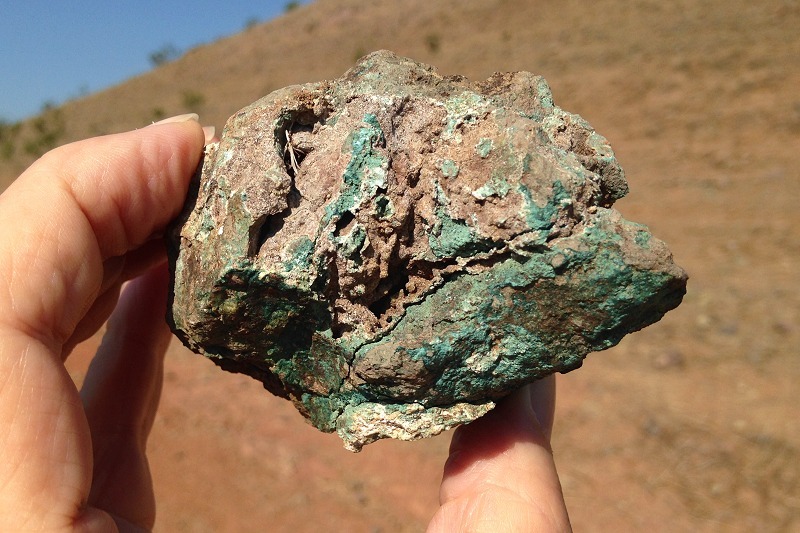 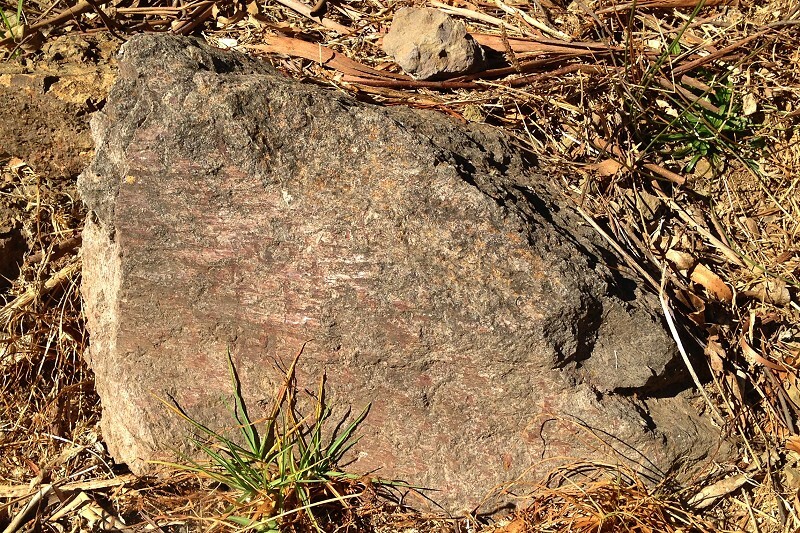 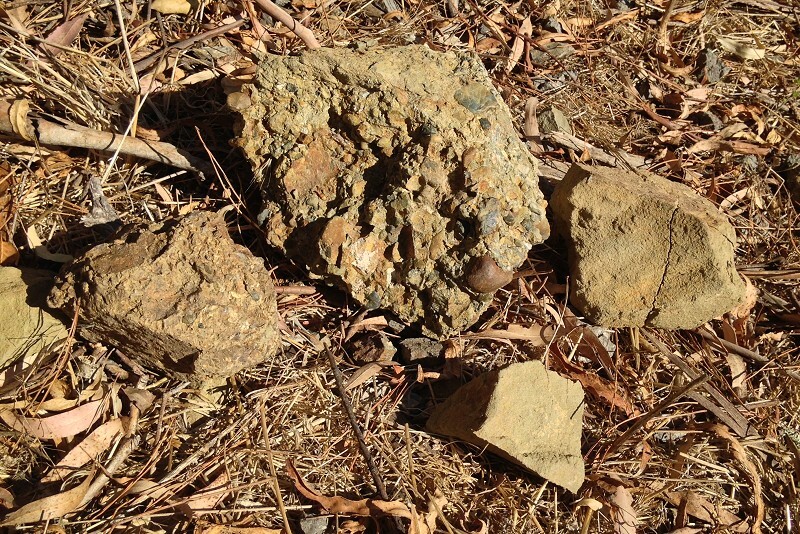 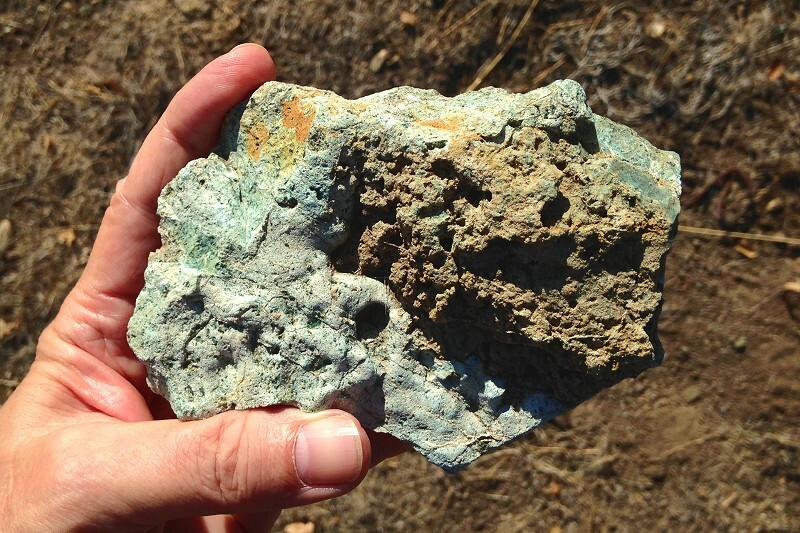 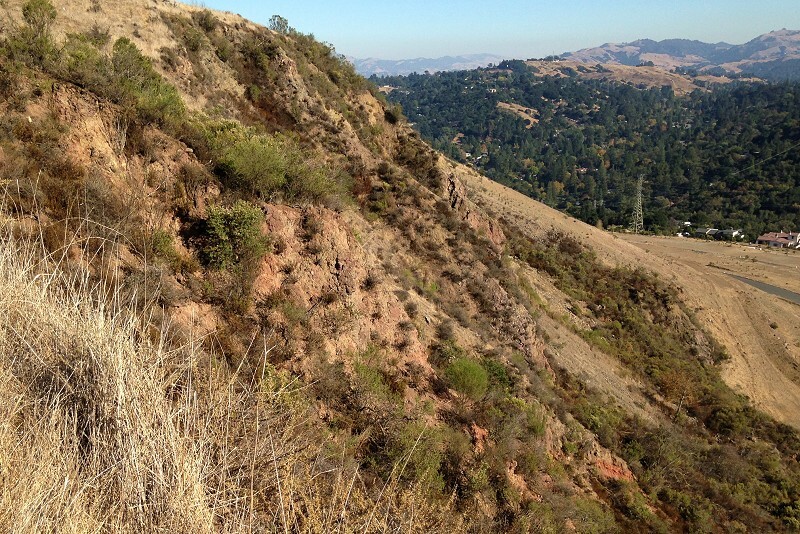 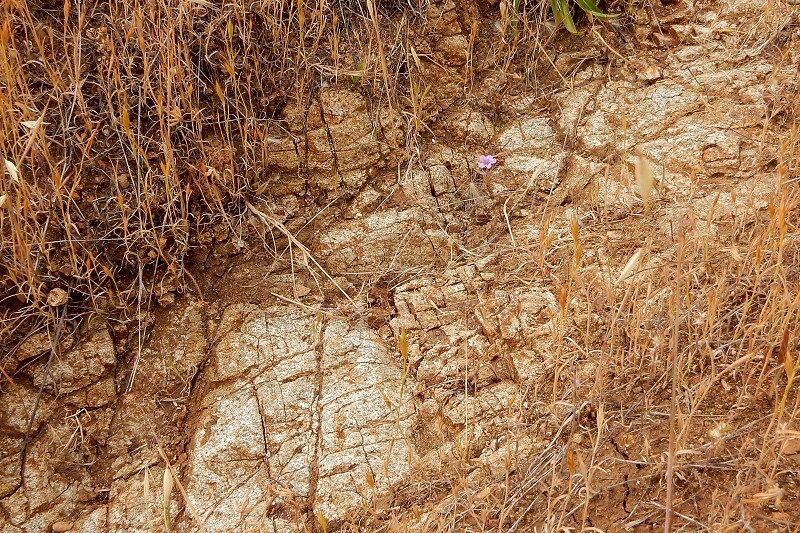 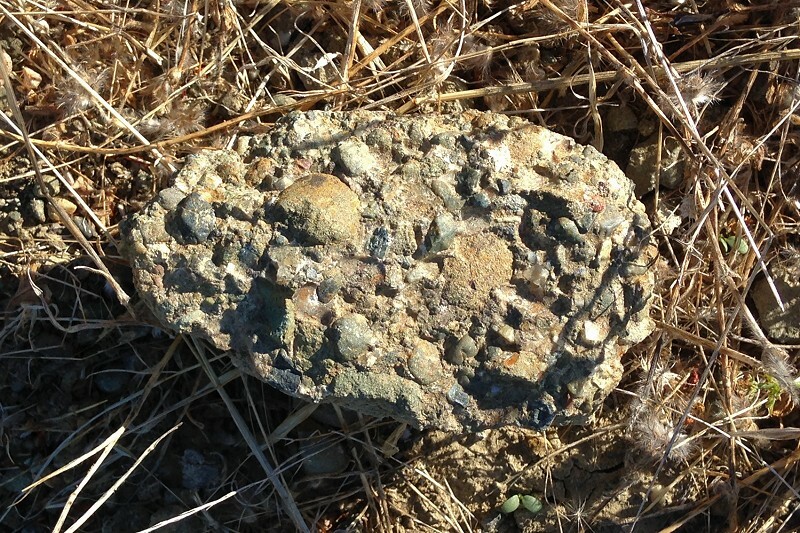 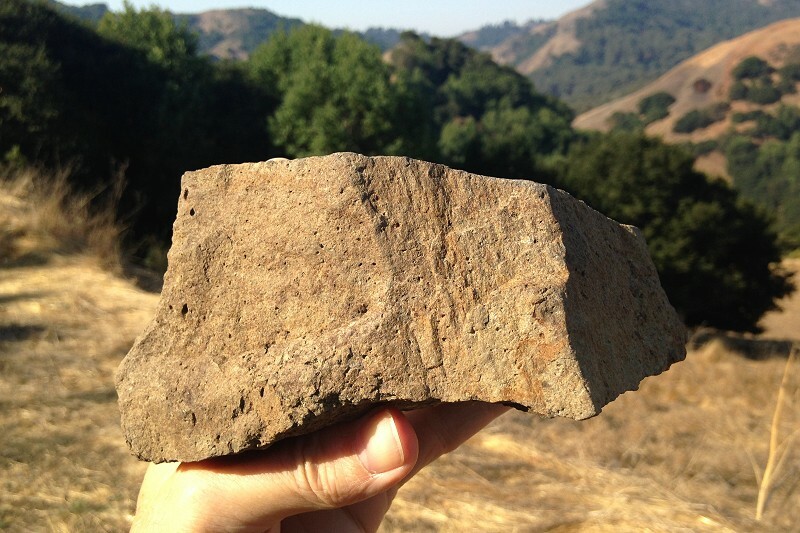 At the foot of the cliff you’ll find pieces of this excellent conglomerate from the Orinda Formation. 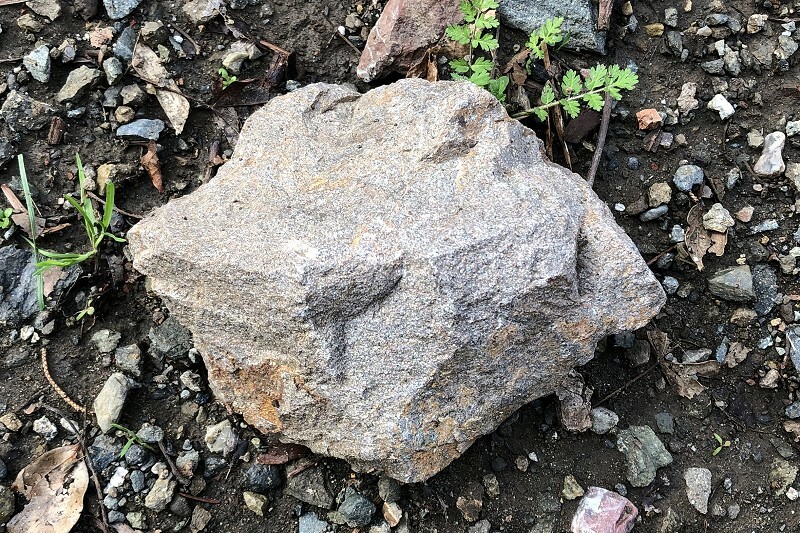 But the fact that it has crumbled down the cliff and will fall apart in your hands means that the rock face would be treacherous climbing. 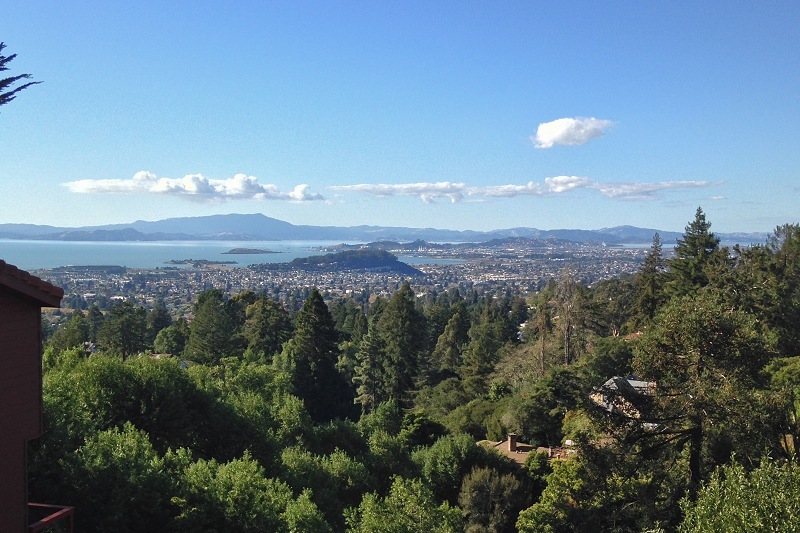 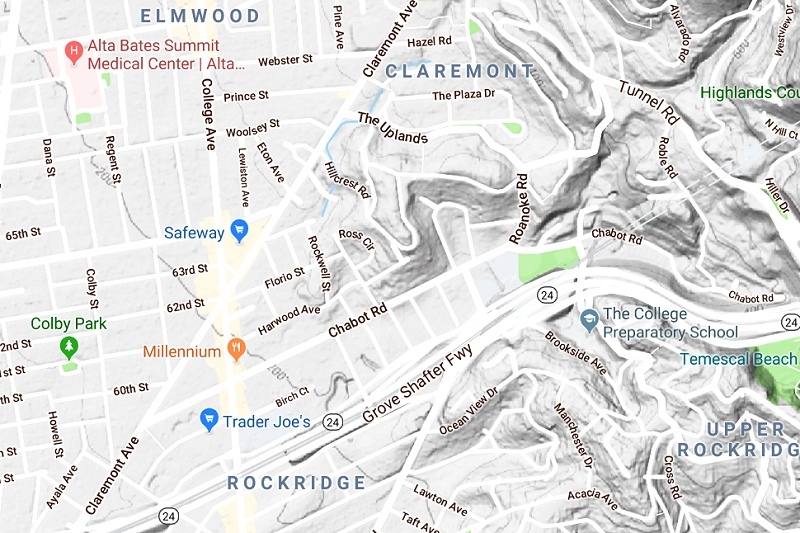 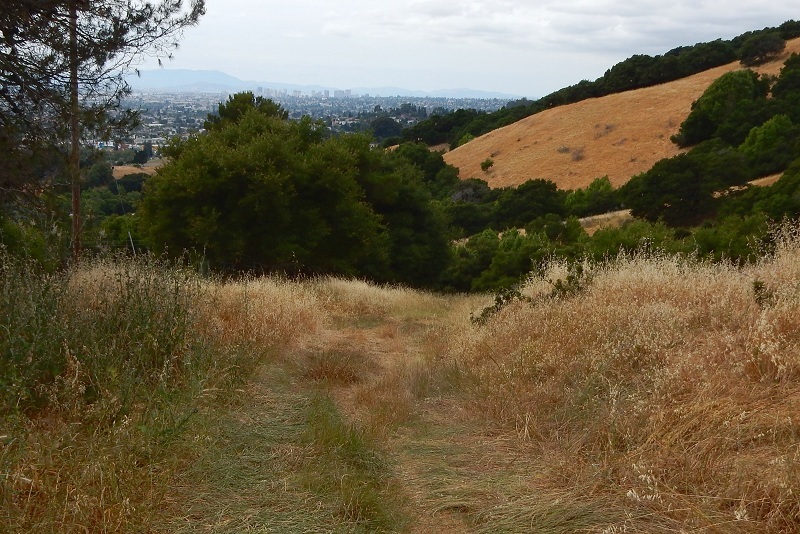 The city should be more forthright in discouraging climbing here; instead they just say “check out the other Berkeley parks with rock features…” Stay off it, and if an earthquake strikes while you’re standing there, jump back fast.